Love food? Then a restaurant may seem like the most obvious of all businesses to buy. However, that is not sufficient reason alone to get involved in a sector where hospitality experience and thinking on your feet in a fast-paced environment are not just important, but arguably essential attributes. The South African restaurant sector grew by 9% in 2016 to reach ZAR30.2bn – an impressive performance given economic headwinds in the country, including rising unemployment. Value chains have performed particularly well recently given tough economic conditions. The biggest player in terms of branded chains was Spur Corp – the name behind Spur Steak Ranches, Panarotti’s Pizza and John Dory’s – which accounts for 19% of the market. Nevertheless, South Africa has a thriving independent sector. And eateries charging premium prices can still thrive by excelling in healthy foods, fine dining/gourmet experiences and family-friendly environments with imaginative children’s menus. There’s a relatively high churn rate in this sector – in other words, a greater proportion of businesses fail compared to many other industries. Always essential, doing rigorous research before committing to a venture takes on particular importance in the restaurant trade. When it comes to appraising a business for sale, ‘due diligence’ is as important as any step. This means checking that the claims of the seller – in relation to reputation, financial trading history and the condition of premises – stand up to scrutiny. So make sure you inspect premises thoroughly, check the financial records and trawl the restaurant’s social media footprint. What is its reputation like in the community as discerned through TripAdvisor, Zomato and other restaurant review sites? Though you may be ‘lucky’ enough to get by as a hard-working owner-operator, or with a team of family members, most restaurants will need to employ some kind of extra help. This could be anything from an extra pair of hands for waiting service to a team of gourmet chefs. When appraising the staff you will inherit as part of an acquisition, the key in this sector, where wages are low and jobs are not often seen as a long-term career, is reliability. 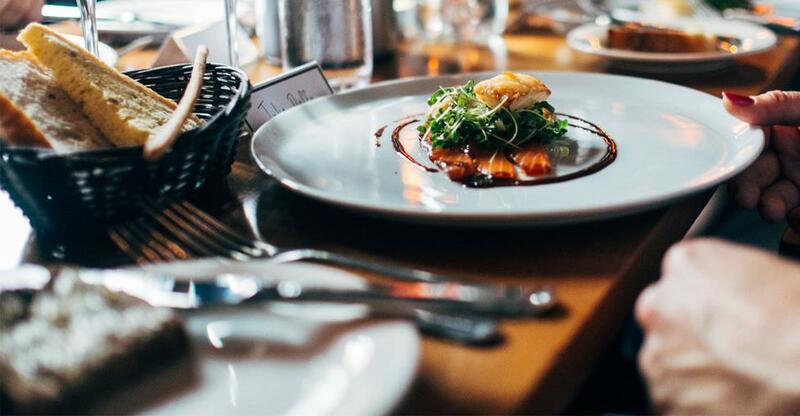 Finding a restaurant for sale in the right location is clearly a key factor, but opinions may vary on what your must-have features should be. Having a significant population working or living nearby may be decisive, while some may value good parking facilities and a business which is highly visible at pavement level or from a busy highway. Others will be most excited by scope for outside seating, good transport links or being part of a strip of bars and restaurants that attract hordes of diners. It’s also imperative to understand the demographics as well as the standard and volume of competition in the vicinity. Be aware that food businesses are heavily regulated and you will be expected to comply with stringent health, hygiene and safety standards. Serving customers outside may also require special licensing arrangements. Sometimes a licence can be transferred, though authorities may insist upon a fresh inspection before allowing a new owner to trade. The application process for getting a liquor licence can vary depending on your province. Your chances of success will depend on municipal and zoning regulations, the premises’ intended use, your personal bona fides, and any objections raised by local residents or other business owners. If you intend to sell alcohol, then find out if a restaurant for sale already possesses a liquor licence. If not, contact the relevant authority to ascertain your chances of obtaining one, before committing to buying premises. The high failure rate means that restaurants are not always an attractive proposition for lenders. It is all the more imperative, then, that you present a viable business plan supported by the business’s financial history and evidence of a good personal credit record. Proof of your own experience and/or suitability to the hospitality trade will also be a persuasive factor. There is no doubt that food is a high-profile sector. Global TV hits such as the UK’s Great British Bake Off and the trend of posting food pictures on social media for enthusiastic yet discerning millennial consumers offer strong evidence that the restaurant sector is a lucrative and progressive area for investment. Can you cope with working long hours and weekends in a fast-paced, occasionally stressful but – for the right person – enjoyable environment? Do you like food, people and entertaining in equal measure?